Embrace science: make a better Chocolate Chip Cookie. 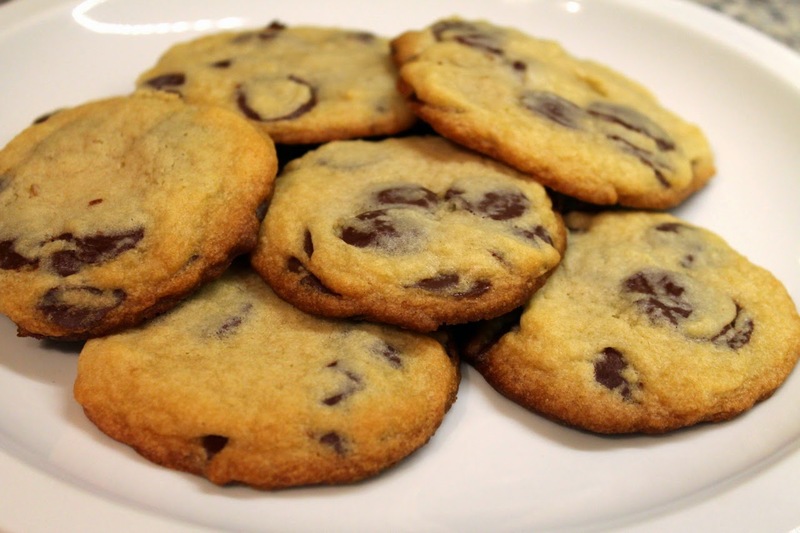 NPR: “The Science Behind Baking Your Ideal Chocolate Chip Cookie,” by Anne Miller. Cookie recipes are fascinating, since there is a lot of science behind them. The balance of fat, sugar, flour and leavening, as well any liquid ingredients, defines their texture and appearance from whether soft and cakey, thin and crunchy and ooey-gooey. Miller examines how the modification of particular cookie ingredients will lead to a different outcome. New York Times: “Who Made That Cocktail Shaker?” by Melanie Rehak. Rehak details the history of the cocktail shaker in this piece, which, not surprisingly, relies on the detailed cocktail history knowledge of David Wondrich. She also includes a helpful reminder about which types of cocktails should be shaken vs. stirred. Washington Post: “Beer: Session IPAs offer the taste of hops without the kick of alcohol,” by Greg Kitsock. “I like hops. I don’t like to get drunk,” said Black Squirrel bar owner Amy Bowman, summing up the appeal of Session IPAs in this great piece on the lower-alcohol but still very hoppy ales. Washington Post: “Plate Lab: Risotto with Base Notes That Sing,” by Bonnie S. Benwick. Spicy Spanish paella sofrito is the inspiration behind this chorizo risotto served at Tico, the new restaurant on 14th Street from chef Michael Schlow. Washington Post: “How climate change is affecting the world’s biggest food company,” by Roberto A. Ferdman. This might sound obvious to a lot of people, but climate change isn’t just about whether it’s hot or cold outside; it can have direct, lasting impacts. One of those is how it affects our food supply. Ferdman’s Q&A with José Lopez, vice president and global head of operations of Nestlé S.A., offers insight about how the world’s largest food company is impacted by this, as well as how it is addressing the issue. Huffington Post: “Is Organic Food Better for You?” by Danielle Nierenberg. Whether organically grown foods are better for you than conventionally grown products has been a hot topic of debate for years. Nierenberg reports on a new Newcastle University study that concludes that organic foods are better for you, with more antioxidants and fewer pesticides. Epicurious: “The 8 Essential Biscuit Archetypes,” by Gabriella Vigoreaux. To mark National Biscuit Month, Epicurious has the great rundown of eight different common biscuit types, including drop, buttermilk and savory. Gizmodo: “This Cocktail Concocted By IBM's Watson Isn't Half Bad,” by Adam Clark Estes. What happens when a supercomputer is asked to come up with a cocktail? It makes something fruity, tropical and blue, very very blue.